The Church Farm is the family business of Andrew and Amanda who live in an old timber church in the small town of Billinudgel in Northern NSW with their two boys Banjo & Percy. The pair grow fresh produce for the farmers market and make a range of products using ingredients straight from their farm and other local farmers. and dried botanicals. 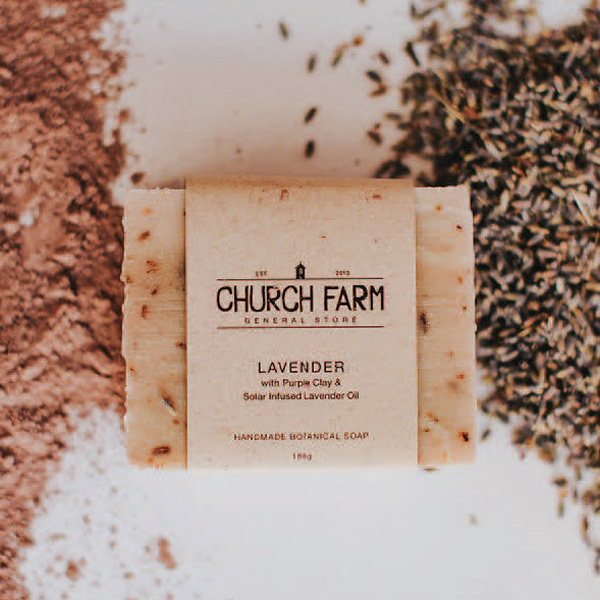 All of the soaps are free from palm oil, synthetic fragrances, dyes or preservative and are made using the cold processed method which ensures the gentlest type of soap bar, with each bar taking over 4 weeks to cure. What started off as just a few bars of soap on a roadside stall has now blossomed into a full time business for Amanda and Andrew and Amanda attributes this to the increasing appeal of natural products. Handmade & Homegrown Soap made with solar infused plant-based oils. Enriched with natural clays, real botanicals and essential oils. 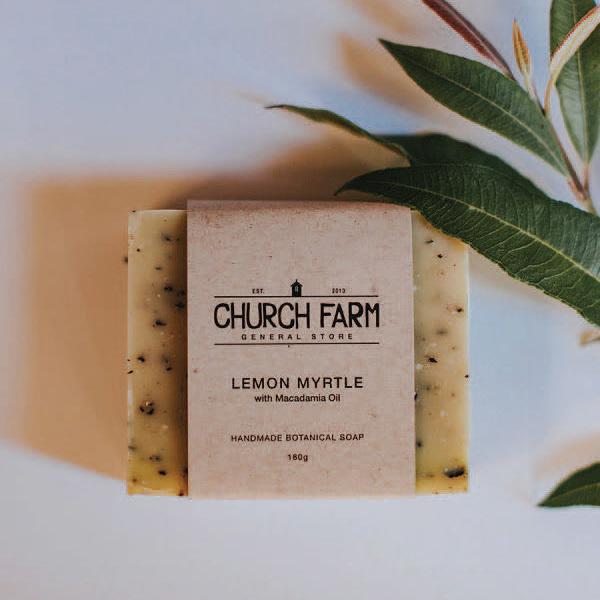 The Lemon Myrtle bar is made using fresh Lemon Myrtle leaves from our farm, as well as local spray-free Macadamia Oil which is extremely nourishing for the skin. 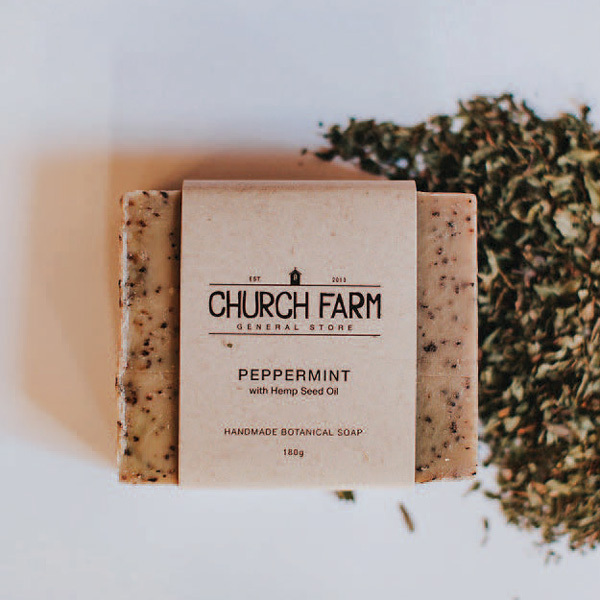 This uplifting peppermint bar contains Hemp Seed Oil, which is a great non-clogging oil that is packed with fatty acids and has anti- inflammatory benefits. 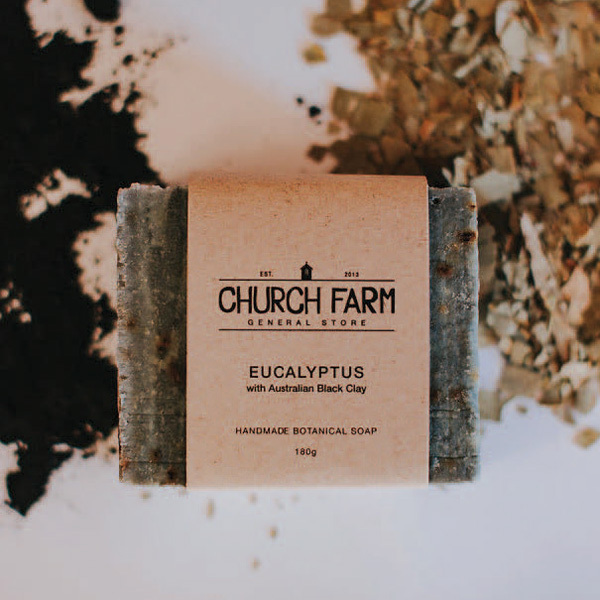 Australian Black Clay has powerful cleansing properties and combined with the Australian native Eucalyptus leaves a unique fresh and clean aroma. This is our unscented bar, which is perfect for young children and people with very sensitive skin. 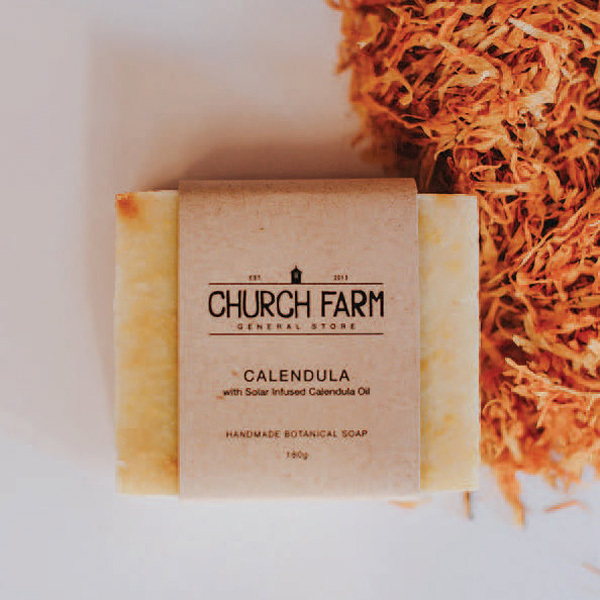 Calendula is a powerful herb and is the number one go to for soothing the skin. The Lavender bar combines the calming & soothing properties of lavender with the purifying effects of Brazilian purple clay. 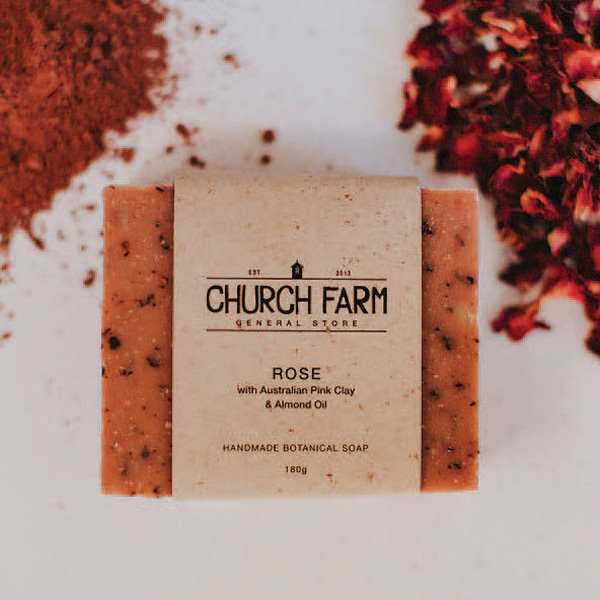 Australian Pink Clay is full of silica and trace minerals and is used to maintain an even textured skin. Sweet almond oil is also added for it’s super skin nourishing bene ts.